Crested Butte Mountain Resort has found a pass partner and it is with one of the major players in the ski industry. The ski area on Wednesday announced a new reciprocal pass deal with Vail Resorts that CBMR administrators say will be in place for the long term and help grow the resort. CBMR also announced the 2018-2019 early bird pass prices. Partnering with Vail Resorts, CBMR is joining 63 other ski areas across the nation and world participating in the Epic Pass. On sale now for $899 the Epic Pass acts as a season pass with unlimited, unrestricted access for 15 ski areas owned by Vail in the United States. It also provides several seven-day, multi-day and discounted rates for additional resorts around the nation and world. The 2018-19 Epic Pass will include seven days of CBMR winter lift access. In turn, Crested Butte Peak Pass and Peak Pass Plus holders will receive unlimited 50 percent off daily lift ticket prices at all Vail-owned ski resorts throughout the United States, Canada and Australia. The Epic Local Pass also includes seven days of skiing in Crested Butte and can be purchased for $669. With CBMR’s involvement the 2018-19 Epic Pass will include seven days of CBMR winter lift access. In turn, Crested Butte Peak Pass and Peak Pass Plus holders will receive unlimited 50 percent off daily lift tickets at all Vail Resorts-owned mountain resorts throughout the United States, Canada and Australia. 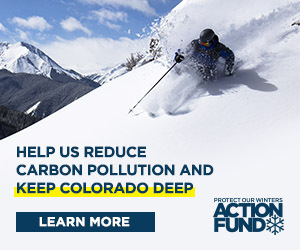 CBMR’s alliance with Vail Resorts is similar to what Telluride and Arapahoe Basin have in place as Epic Pass partners that are not owned by Vail Resorts. It will also be comparable to the new-this-year deals being offered by Okemo Mountain Resort in Vermont and Mount Sunapee Resort in New Hampshire as part of those area’s involvement with the Epic pass. CBMR, Okemo and Sunapee are all managed by the Mueller family’s Triple Peaks LLC. With the alliance, CBMR will remain independently owned and operated, and after the close of the 2017-18 winter season, the resort will no longer be part of the Rocky Mountain Super Pass+, the MAX Pass nor the Powder Alliance. Immediate local reaction was strong on both sides. Several comments on social media sites indicated displeasure with the alliance. Some said that CBMR pass holders were getting the raw end of the deal by not getting any free access to other participating ski resorts. There was also concern expressed about any partnership with ski giant Vail Resorts that represents a more upscale clientele. On a more local note, CBMR announced its 2018-19 season pass prices on Wednesday. Until April 8, 2018 an adult Peak Pass can be purchased for $669, an increase of $10 from the 2017-18 season. An adult Peak Plus pass will run $859, a $20 decrease from last year. All pricing, more information, and full pass benefit info is available at www.skicb.com/seasonpass.